A woman who demanded that a "white doctor" treat her son at a walk-in clinic in Mississauga was not just an isolated case, but part of a bigger problem, according to the president-elect of the Ontario Medical Association. 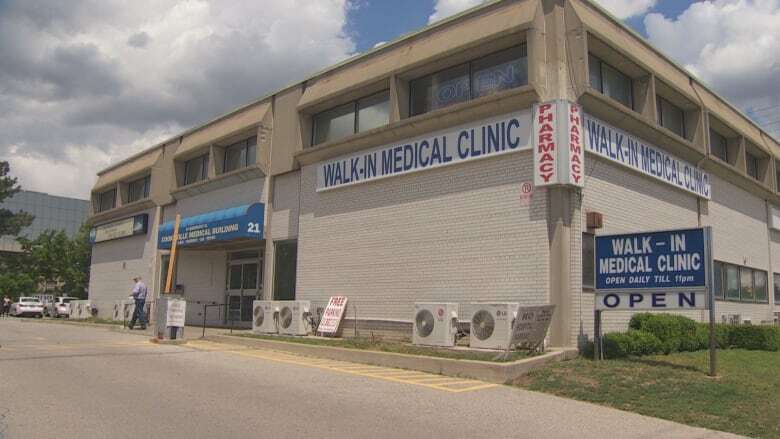 The incident at Rapid Access to Medical Specialists clinic was recorded on video and sent to CBC Toronto by a viewer. 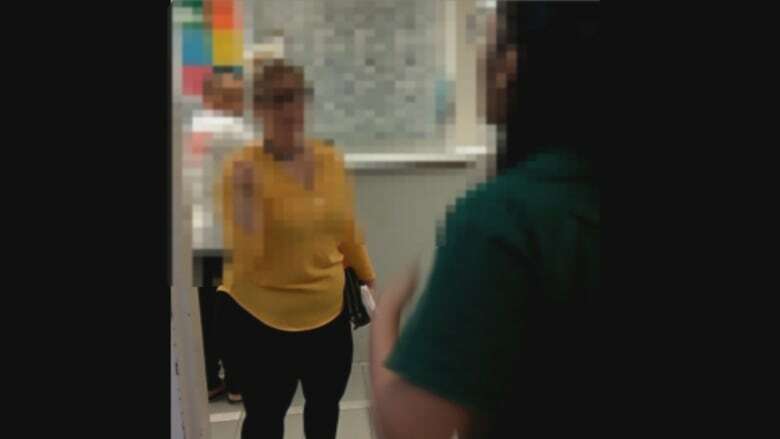 In the video, a woman asks clinic staff several times for a "white doctor" who "doesn't have brown teeth" and "speaks English" to treat her son who she says has chest pains. "A lot of physicians who are visible minorities or have accents that suggest that they're immigrants, they face this. They face incidents like this," said Dr. Nadia Alam. And she counts herself among them. "I've seen it through medical school, I've seen it through residency, I've seen it on and off through my practice," Alam told CBC Toronto. "Sometimes it is openly like 'I'm not going to see you because you're this skin colour or you have this accent. I want to see somebody else." 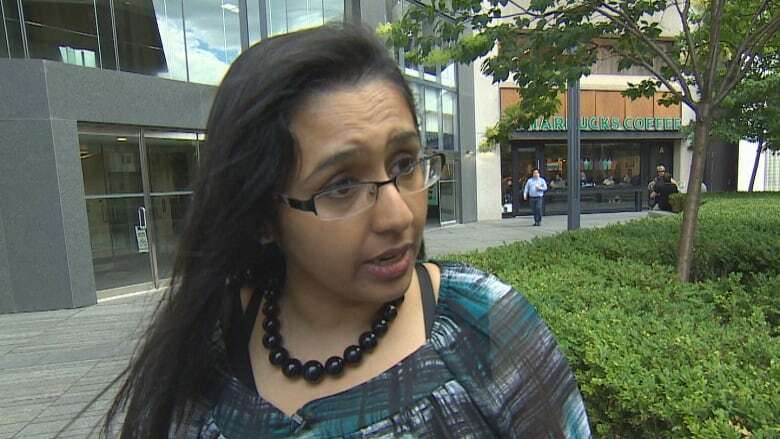 Alam, who practises family medicine in Georgetown, said she hasn't really experienced this sort of racism there, but did when she worked in "some of the bigger cities." "It's heartbreaking," said Alam. "You think that you're a Canadian, that this is your country, this is where you belong. And when someone accuses you that way or treats you that way, you feel like an alien." Reaction to the video spread across social media and the country on Tuesday, including a comment from Premier Kathleen Wynne. "I was very shocked," said Wynne. "There is no place for that kind of behaviour, that kind of racism and hatred, quite frankly, in our society." Several witnesses in the video seemed to share that sentiment and argued with the woman who demanded a white doctor. One female witness tells the woman, "Your child clearly has more issues with you being his mother than him needing to see a doctor. You are extremely rude and racist." Later in the exchange the woman accuses the witnesses of "attacking me because I'm white." Although bystanders can confront racists, what can doctors, like those at the Mississauga clinic, do in a similar situation? "In terms of legal guidelines and policy, if you feel unsafe, then yes, you can remove yourself from that situation," she said. "But it's a grey zone, a lot of it hasn't been fleshed out." If doctors refuse to treat a patient, they may worry about a complaint being filed against them with the College of Physicians and Surgeons of Ontario and the possibility they could lose their licence, said Alam. "We need to acknowledge that this is a problem," she said. "I think there's a role that medical schools can play in this along with residency programs." Police were called to the clinic for a "disturbance" on Sunday. In this case, a police officer spoke to "all involved" and afterward the woman's son was treated by a doctor at the clinic. No allegations of threats or assault were brought forward by anyone, so no charges will be laid, according to police. But on Tuesday, Peel Regional Police confirmed that the force's diversity relations unit was looking into what happened at the clinic. Alam said that she was never taught how to deal with "overt racism or ignorant actions" from patients in medical school, only hostile patients in general. "This is a bigger issue," said Alam. "We need to deal with it not just as the medical community, but on a broader scale as a community in Ontario." Alam will begin her term as head of the Ontario Medical Association next spring, following current president Dr. Shawn Whatley. An earlier version of this story had a headline that referred to Dr. Nadia Alam as the head of the Ontario Medical Association, when in fact she is the president-elect.